Yeti vs Hydro Flask vs Swell - What is the Best Insulated Water Bottle? Yeti vs Hydro Flask vs Swell: Who Makes The Best Insulated Water Bottle? It’s been hotly debated, so let’s get to the bottom of this: Yeti vs Hydro Flask vs Swell—who makes the best insulated water bottles, tumblers & coffee mugs? Let’s face it, we all enjoy having a hot drink at hand when the mercury drops. And even better, a cold drink to refresh us under the beating hot summer sun. 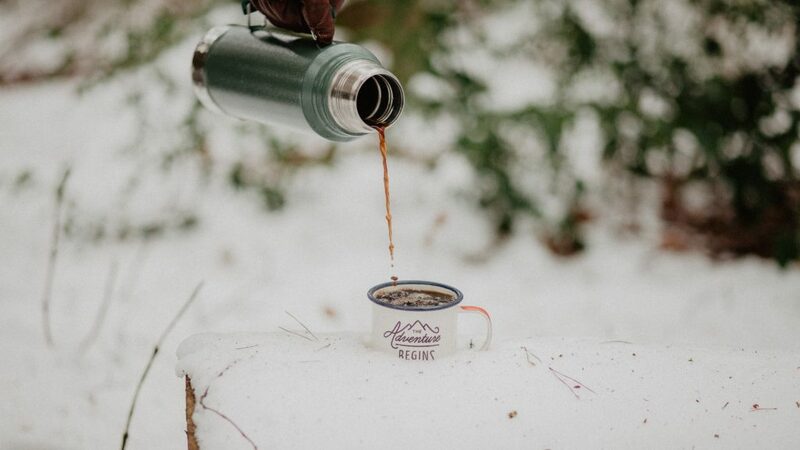 Whether you are exploring the wild outdoors or just heading out on the daily grind, having insulated drinkware is the perfect companion to keep your drinks hot (or cold). Plus, as they are ultra-durable, they make one hell of a trusty water bottle when traveling around the world. But I’ll be the first to admit, there are tons of insulated bottle choices out there. That’s why I’ve taken upon myself to delve into the heated territory of who makes the best insulated water bottles, tumblers, and growlers. Our Verdict: YETI vs Hydro Flask vs Swell? What Kind of Bottle Do You Need? Yeti vs Hydro Flask vs Swell – Who Makes the Best Insulated Bottles & Tumblers? When it comes to finding the right insulated drinkware—bottles, tumblers, coffee mugs, growlers—there are some key factors to consider. The good news is that there are tons of insulated bottles on the market in all shapes, sizes, and styles. Not to mention brands—what’s the difference between Hydro Flask vs YETI? What about Swell or Hydro Flask? As you see, the difficult part is sifting through all the different options. This guide and reviews are here to help you understand the key differences between brands and models to help you find which bottle is right for you. You can jump ahead and dive into a more in-depth buying guide, but this quick overview should do the trick if you are in a rush. Function. Where and when will you be using your bottle? If you’re on the go, grab a bottle that secures tightly with a leak-proof lid with a rubber gasket. For convenience coffee mugs and tumblers come with an easy sip lid or you can go lidless and enjoy a cold brew. Size. How much liquid do you want to carry? Coffee or tea? A 12-16 ounce will likely do the trick. 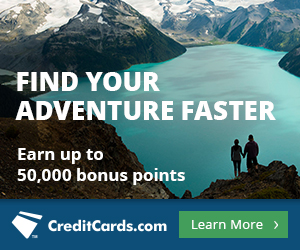 Need to stay hydrated on a long day hike? 20-40 ounces is a good place to start. Filling up your growler or keeping a backup water supply in your truck? You can find insulated bottles in 64-ounce and one-gallon sizes. Durability. 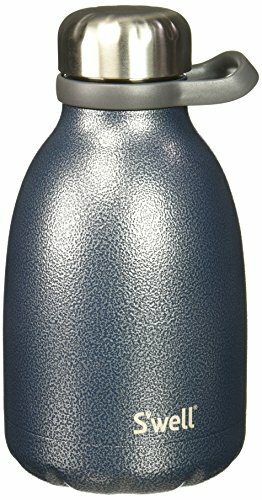 Almost all insulated bottles these days are made from food grade stainless steel. To insulate the liquid inside they are constructed with a double or triple walled design. Not only does this keep your drink hot or cold, but it makes the bottle durable as hell. The bad news is that they will dent, but you’ll be hard-pressed to break one. Shape. What does it feel like in your hand? Bottles these days come in all shapes and sizes, so if you have smaller hands you may want to go with a narrower design. Alternatively, if you are not concerned about holding in it one hand, you can find some super stout bottles out there, like the Hydro Flask 40 oz wide mouth bottle. Color & Texture. Do you want a flashy bottle or keep things classy? There are endless color choices when it comes to insulated bottles and tumblers. You’ll also need to consider the feel that you are after. Both Hydro Flask and YETI use a powder coating that feels slightly textured to the touch. Or you can get a smooth feel, which is found on Swell bottles. We’re going to compare the good, the bad, and the ugly when it comes to ranking Hydro Flask vs YETI vs S’well. All of these bottles are worthy of keeping your liquids hot or cold, but there are some important differences to consider when choosing the right bottle. In these reviews we’ve laid it all out on the table and hope that it helps you decide which bottle is best for you. Anything else essential you should know! Insulated water bottles are ideal for anyone who wants to keep their drink hot or cold over a long period of time. For chilly outdoor adventures or icy commutes they are your best friend. Alternately, an insulated bottle is the best way to keep a drink cold when you don’t have a cooler with ice around. Their vacuum double wall insulation works wonders. These bottles are rated to keep drink hot for up to 12 hours and cold up to 24 hours. Simply put, they are pretty damn amazing at their job. You can find insulated water bottles in all shapes and sizes, which is one of the main factors to consider. A small bottle typically is around 10 ounces and you can go as large as 40+ ounces. YETI is best known for producing some of the highest quality coolers around. But it doesn’t end there, they are just as adept at designing drinkware to keep your liquids hot or cold. But the proof is in the pudding, and the YETI Rambler is just that. 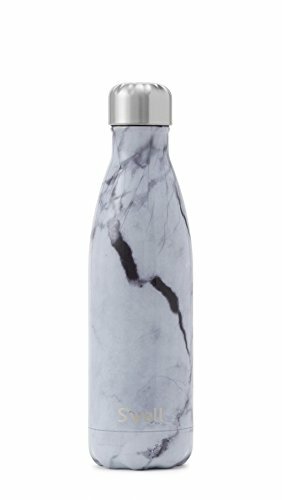 It’s a darn good looking, tough-as-nails bottle that will keep your drink ice cold or steaming hot. 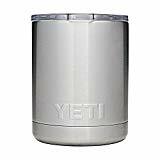 Built from 18/8 Stainless steel the YETI Rambler is tough. That said when you compare the YETI vs Hydro Flask bottle, it’s equally durable as it’s constructed from the 18/8 same stainless steel. The bottle is nearly indestructible when it comes to punctures and rust resistance, however dents can occur due to the double wall vacuum design. A double wall vacuum design works by creating dead air space between the interior and exterior walls of the bottle. As a result this means no heat transfer or condensation forming on the outside of the bottle, making it a sweat free drinking experience. For color options YETI offers a more limited color pallet, but unless you’re after a bright color it’s easy to find one that fits your style. Both Hydro Flask Swell offer a much wider range of color choices. The YETI Rambler does have a leg up on Hydro Flask bottles as it’s DuraCoat coating is marketed as dishwasher safe. I’ve thrown my Hydro Flask in the dishwasher several times and it does in fact discolor the powder coated color over time. If ease of cleaning is a issue for you, going with the YETI is a good choice. 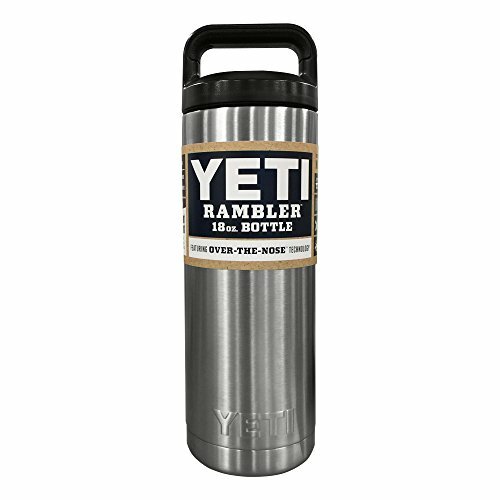 The YETI Rambler bottle is available in three size variations including 18 oz, 26 oz, 36 oz. This is a good range for a daily adventure or travel water bottle. I rarely find myself using anything below a 16 oz bottle. When it comes to comparing YETI vs Hydro Flask vs Swell bottle size options, Hydro Flask takes the cake with seven different volume options of it’s bottle. Swell comes in last place with only three sizes (9, 17, 25 oz), most being too small for my needs. The price of the smaller YETI Rambler models is comparable to those of Hydro Flask and Swell bottles. However, if you are looking for a larger volume insulated bottle you’ll pay more for a YETI than you will Hydro Flask. And Swell is out of the picture as they don’t offer a bottle larger than 25 ounces. 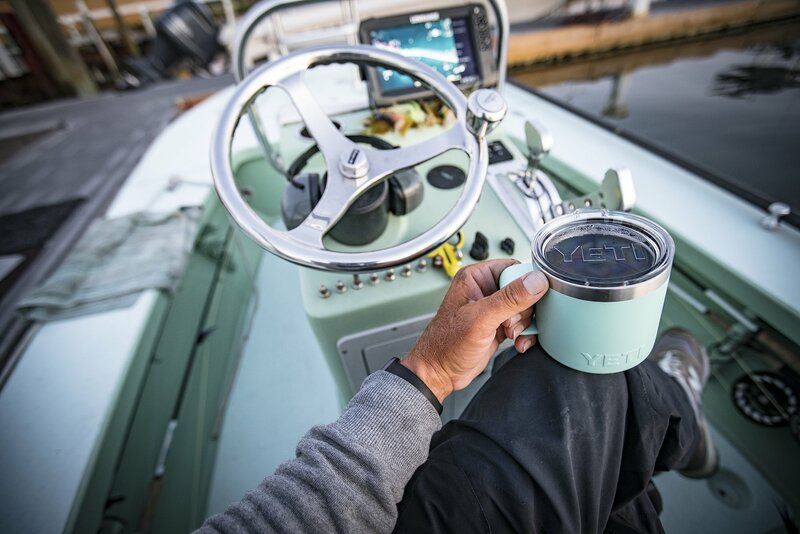 The YETI Rambler comes with their 3-finger grip TripleHaul Cap which offers a substantial surface area for comfortable carrying the bottle even in larger sizes. 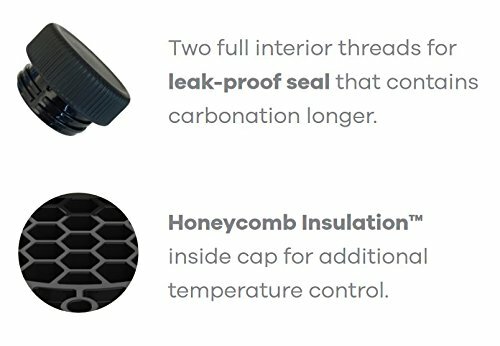 This leak-proof cap is proven to be spill free and provide excellent insulation. We’ll also add that that cap on the YETI is much more robust than the flexible cap found on Hydro Flask bottles, which just seems flimsy on larger bottles. If you want to customize your YETI Rambler bottle you can opt for different lid types. All are leak-proof, so depending on the your activities and drinking preference you can easily swap lids out. Plus, they are designed to fit all YETI Rambler bottle sizes, which is ideal if you have multiple bottles. Hydro Flask was the first to introduce a fully-insulated water bottle on the market in 2009. This quickly made them the industry leader when it came to vacuum insulated water bottles. Even today, when you have to compare Hydro Flask vs YETI vs Swell, Hydro Flask is still in the lead when it comes to vacuum insulated drinkware. All built from 18/8 stainless steel Hydro Flask offers the widest range of bottle sizes and shapes out there. And of course all their bottles and lids are BPA free. Diameter / Mouth Diameter 2.87" / 1.91" 2.91" / 2.28" 2.91" / 2.28"
When it comes to the shear range of sizes, Hydro Flask offers the most options. With seven different volume bottles, including both narrow and wide mouth varieties, it’s easy to find the right size bottle from Hydro Flask. In comparison, size options are much more limited from both YETI and Swell. For various activities you can swap out Hydro Flask lids to have easy access to your liquids. 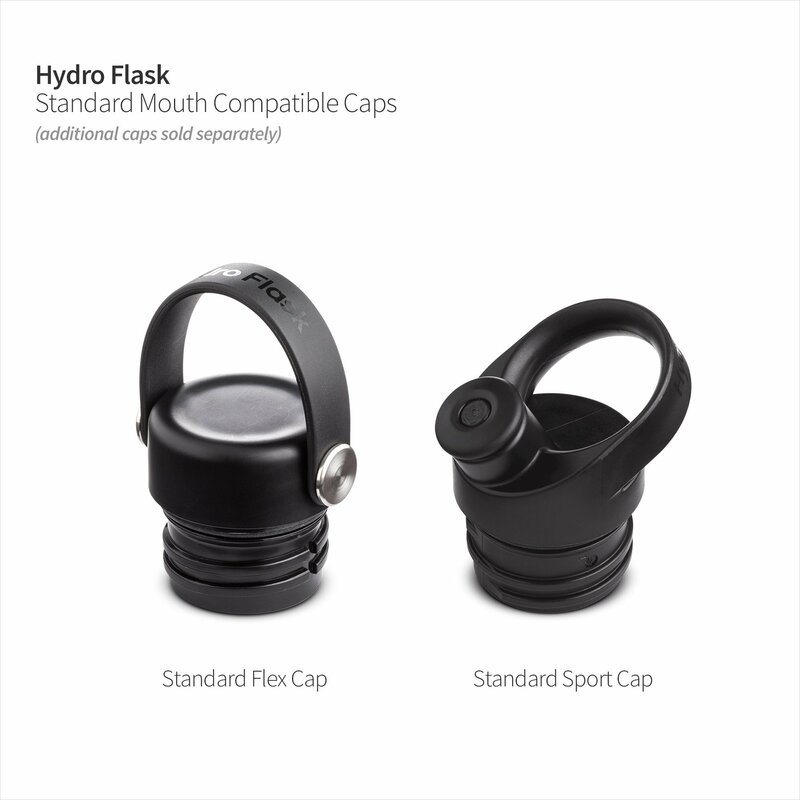 Most Hydro Flask bottles come with the standard Flex Cap or the Flat Cap. But you can also find wide mouth bottles that come with a Straw Lid and narrow mouth bottles with the Sport Cap. This can save money if this is the lid you are after. You can also add some useful Hydro Flask accessories to get the most from you bottle. These include a BPA-free silicone Flex Bootthat adds grip and protection against dings and dents. For keeping your bottle sparkling, Hydro Flask offers and circular Bottle Brush that fits into their bottles. This type of brush makes it easier to clean your bottle, but you can also find similar bottle brushes on Amazon.com for cheaper. S’well founder Sarah Kauss knew that there was a need for a simpler and more stylish insulated water bottled. That’s exactly what the S’well bottle is: a clean, good looking water bottle that doesn’t look like you are going camping. 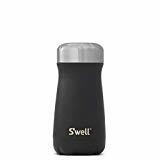 Although S’well is a newer water bottle brand on the market and has quickly become popular among urbanites heading out on the daily grind or to the gym. A huge selling point of S’well is are the trendy colors and design options—there are 50+ options to choose from! A simple way to compare S’well vs Hydro Flask vs YETI is that S’well is much more geared towards daily life use and the two latter are ideal for outdoors. Let’s get down to the big design differences between S’well, Hydro Flask and YETI. S’well bottles all come in one shape with the same mouth diameter. The difference is the volume capacity of the bottle, which is offered in 9 ounces, 17 ounces, and 25 ounces. Other than that the only thing to consider is what color you want. The compact shape of S’well bottles allow them to fit into most car cup holders and easily slide into your bag or travel backpack. The shape is narrower than most other insulated water bottles out there. On the flip side, the bottles don’t come in a wide mouth version and you may run into a problem trying to fit ice cubes into the bottle. But don’t let the pretty patterns fool you, S’well bottles are just as tough as the others. Their bottles are constructed from tripled walled high-grade 18/8 Stainless Steel. And of course they are BPA-free, because no one wants that. The triple wall vacuum design gives maximum insulation and is an additional wall over Hydro Flask and YETI. Will you notice a difference? Probably not in real life, but they will definitely do the job of keeping your drinks hot for up to 12 hours and cold for 24 hours. For price comparison, S’well bottles run a bit higher than Hydro Flask of the same size. In comparison to Hydro Flask and YETI, S’well water bottles come in a more limited size range. The bottle is available in 9, 17, and 25 ounces. For my uses a 9 ounce bottle has extremely limited uses, apart from filling it up with a few espresso shots. The 17 and 25 ounce sizes are the right match for everyday use—whether you are using it around the house, taking it along to the gym, or packing it for the office. The narrow shape of S’well bottles is perfect for sliding it away in a bag or backpack and the rounded edges helps wedging it when space is limited. Keeping with their minimalist design, S’well bottles only come with one lid option. The standard lid is clean looking and matched the color or pattern of the water bottle. And don’t worry, if you lose your lid you can get a replacement of the same style. The only accessories S’well offers are bottle brushes, which are wood and have replaceable heads so you don’t have to get a whole new brush when it gets grimy. Who makes the best insulated water bottle? Even though we got down to the nitty-gritty in this YETI vs Hydro Flask vs Swell bottle comparison, you can see that all of these bottles are very good at what they are designed for—keeping your drink hot or cold for a very long time. That said, there are some key differences that set them apart. 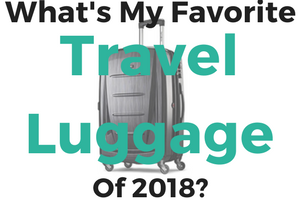 When it comes to choosing our favorite it was an incredibly close call, but we went with our long-standing favorite Hydro Flask. The compact size of S’well bottles make it them a great option for daily use, but they are not the best option for the backcountry. 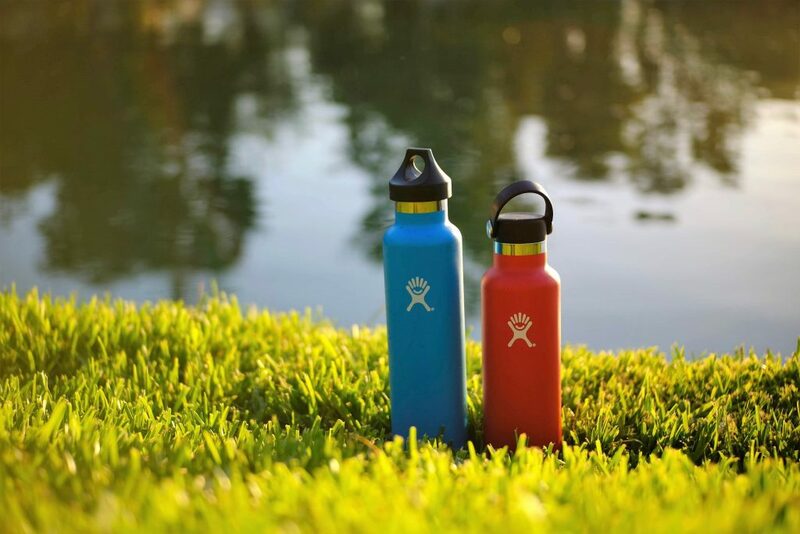 With endless colors to choose from, they are a stylish bottle option for those who want to sport a minimalist design. The YETI Rambler is one heck of a bottle and we love the 3-finger grip TripleHaul Cap that comes standard on their bottles. In fact we prefer it over the Hydro Flasks Flex Cap. For a smaller bottle this is a great choice. But given the wider range of size options and equally good insulating performance we feel that Hydro Flask bottles suit a much wider range of user. We love the 32 and 40 oz wide mouth bottles when you need to pack along more liquids and the narrow mouth bottles fit excellently into a bag or pack when traveling. When you’re hitting the road, it’s away nice to take along a drink. An insulated tumbler is the perfect drinkware choice to keep your coffee or tea hot on chilly mornings. Their design gives you an easy access to your drink while behind the wheel or on the move. The best insulated tumblers are made from the same durable 18/8 pro-grade stainless steel that you will find in insulated water bottles. The key difference is that tumblers have a lid with a mouth opening (think take away coffee cup) or a straw lid. Usually, the mouth opening snaps or slides shut when not in use and although most are not 100% leak-proof, they prevent splashes when the road gets rough. 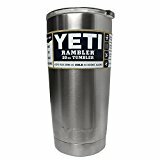 If you are after one of the toughest tumblers around, look no further than the YETI Rambler Tumbler. Of course, it’s made using the same high-quality stainless steel with double wall vacuum insulation as their insulated bottles. 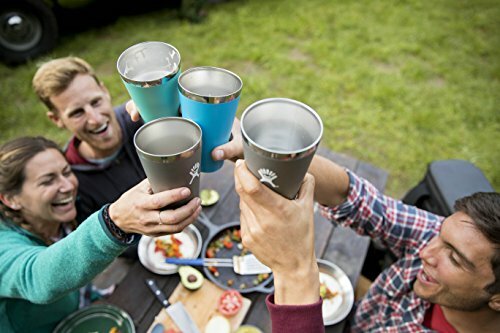 YETI’s Rambler Tumbler comes in several different shapes depending on the size. Their 10 oz bottle is stout and square. On their 20 oz and 30 oz tumbler, the shape is tapered at the bottom, making it easier to grab in your hand—especially for someone with smaller hands. All the tumblers are made from the same 18/8 food-grade stainless steel, which is thick and resistant to both dings and dents. For color options, YETI offers both a classic stainless finish and an assortment of DuraCoat colors. 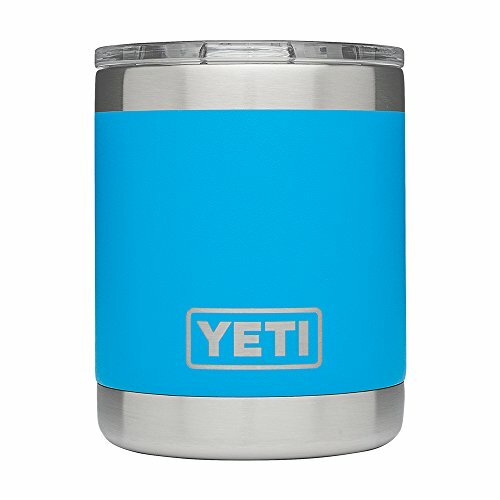 When comparing Hydro Flask’s vs YETI’s tumbler, YETI has a leg up when it comes to washing since both the tumbler and lid are rated dishwasher safe. This makes for easy cleaning and can be a selling point for someone who doesn’t want to scrub their bottle every week. 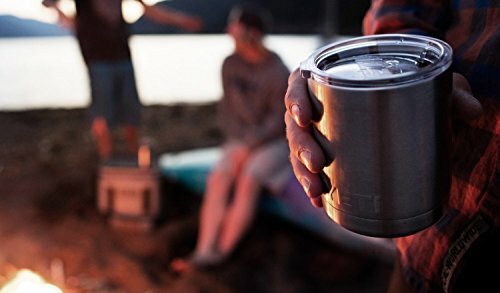 The bottom line is that the Rambler is a no-nonsense, no sweat tumbler that holds up to whatever abuse you can throw at it, all while still keeping your drinks hot or cold. 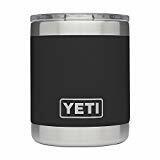 Dimensions (in) 4 1/8" x 3 1/2" 6 7/8" x 3 1/2" 7 7/8" x 4"
The YETI Tumbler comes in three sizes—10, 20 and 30 ounces. The 10 oz size comes in two shapes—the lowball, which looks like whiskey tumbler and the wine glass, which is curved for added style points. The YETI comes with their MagSlider lid that features a magnetic closure system to keep it locked in place. You can always add other lid options down the road with YETI’s straw lid or replace your lost lid with a simple lid. All lid options work with all tumbler sizes except the wine tumbler, which does not have a lid option. 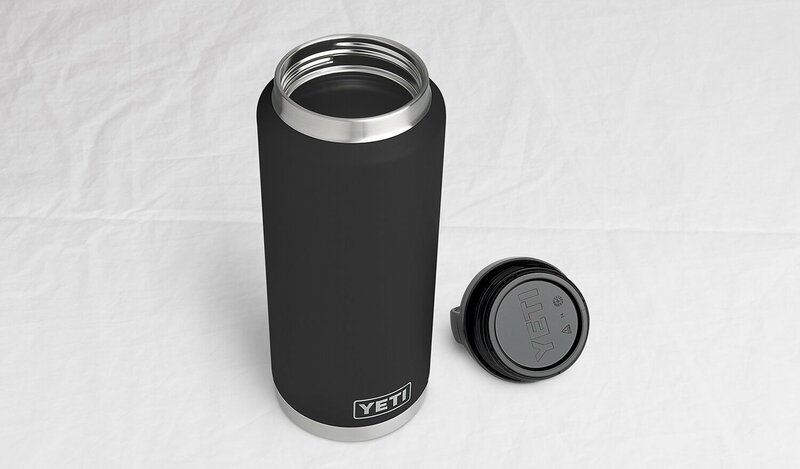 Other accessories for the YETI Rambler include a tumbler handle to make it even easier to grip your drink. Given the wider body of YETI’s tumbler, this can be a great accessory for someone with smaller hands who finds it hard to hold on to their tumbler. This is our favorite tumbler of the bunch. The Hydro Flask Tumbler feels great in your hand, keeps your drink cold or hot for hours, plus it’s just as durable as the rest. 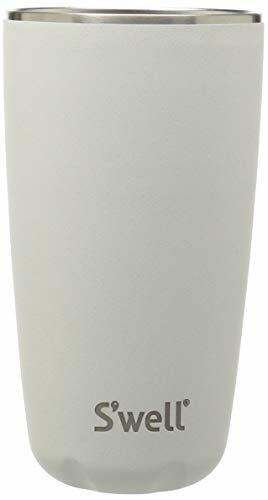 The simple straight-cut aesthetics of the Hydro Flask tumbler make it one of the classiest looking tumblers our there. The S’well comes close, especially if you like its curved design, and in our opinion, the YETI looks better suited for camping trips. It’s available in 12 powder-coated color options, which also gives it a bit of texture and grip when in the hand. The narrow shape and size of the Hydro Flask make it both hand and (most) cup holder friendly. Plus without any curves or crevices, it’s easy to wash. But bear in mind, in comparison to the YETI Tumbler, it’s not rated as dishwasher safe. 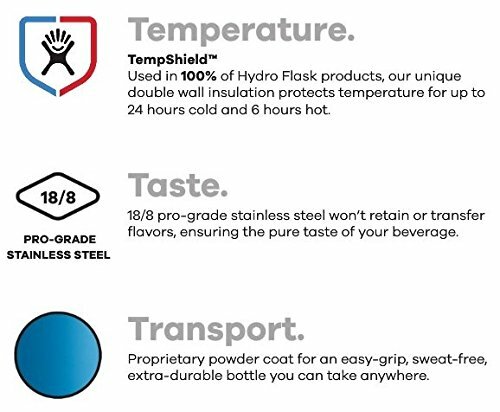 On par with all other insulated tumbler options, the Hydro Flask features an 18/8 pro-grade stainless steel double wall vacuum insulation which shields your drink from exchanging heat with the outside world. So don’t worry, you’re smoothie won’t turn to slush in the hot car and your coffee will stay piping hot all the way to work (and beyond). Dimensions (in) 7.8" x 3.1" 8.5" x 3.6"
The Hydro Flask Tumbler comes in two sizes: 22 and 32 ounces. Both are built in the same narrow design, which makes it comfortable in your hand and fits most car cup holders. 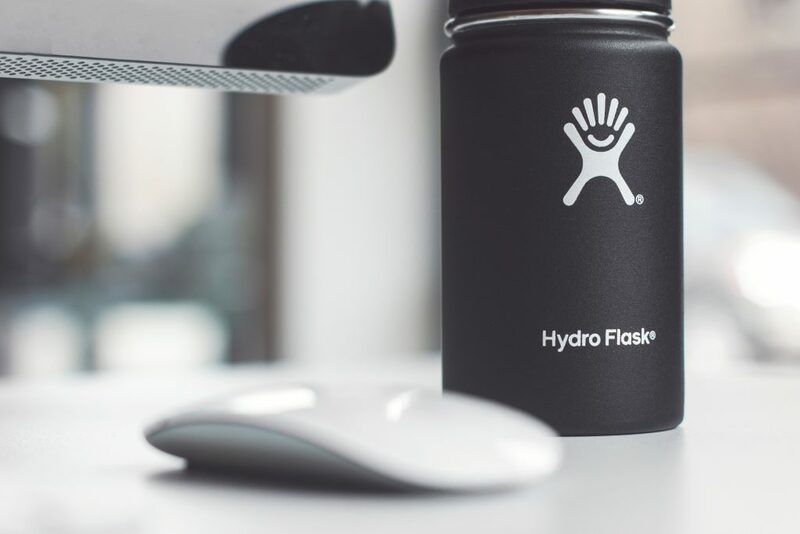 The standard lid that comes on the Hydro Flask Tumbler is a simple, but proven press-in lid. It’s insulated with Honeycomb insulation and BPA-free. It’s splash resistant, but not leak-proof, so you won’t want to throw it into your bag when on the move. An upgraded option is to grab the Tumbler Straw Lid for easy sipping, which is available for both sizes of Hydro Flasks Tumbler. The flexible straw is extra wide to allow plenty of flow and makes it easier to clean. Let’s face it, the S’well tumbler looks great, no matter where you are. It has 7 different color options to choose from, with discreet black or white options or their yellow gold for a bit of flash. Each one has some texturing on the outside to give you a firm grip, so you don’t need to worry about it slipping from your hands. Like the Yeti and Hydro Flask tumblers, S’well uses high-grade 18/8 stainless steel. Also its lid is BPA and toxin free for a healthy way to store your hot or cold beverages. 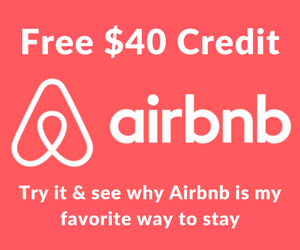 The insulation is triple-walled, so not only do your drinks stay at the optimum temperature, there is no condensation on the outside to leak all over you, your table, or your car. When comparing the YETI vs S’well bottles, the one flaw in the latter tumbler is that is must be hand-washed, while the YETI tumbler is dishwasher safe. But the smooth insides and straight edges make hand washing the S’well tumbler short work. Dimensions (in) 3.3" x 3.3" 6.1" x 3.3"
The S’well Tumbler comes in two sizes, the 10-ounce and the 18-ounce. These aren’t really big enough to hold what you’ll need for a whole day, but for a short car trip or an afternoon on the patio, they’ll store what you need. Unlike the other two tumblers in our YETI vs Hydro Flask vs S’well tumbler reviews, this one doesn’t come with a lid. You only get the tumbler itself when you buy it. But there is a lid that can be purchased separately, which means you need to pay extra for it, on top of the price of the tumbler. The lid is stainless steel, with a simple design. The mouth is a bit small, with no covering, so you will need to be careful not to spill it while you walk or drive with it next to you in a cup holder. But it does pop on the top of the tumbler quite easily. And it helps to keep your drink hot or cold, though not closing completely won’t retain the temperature as long as you may like. All three of the tumblers we’ve reviewed here do what they’re made for, which means holding your liquids and keeping them hot or cold for an amazing amount of time. All three are also made of durable 18/8 stainless steel and have great insulation. So, which one tops the list? 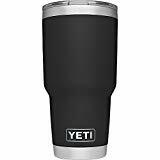 Well, the Yeti Tumbler has three sizes and is dishwasher safe, both of which add convenience. This model also has that cool MagSlider lid that locks down to the tumbler, plus has that extra straw lid option. 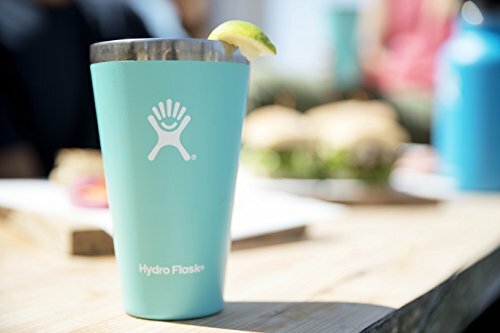 But the Hydro Flask Tumbler looks great, comes in a wide range of colors, and has that narrow shape that makes it easier to hold or slide into a cup holder of your car or camping chair. It’s easy to clean, even by hand, and has two great sizes that hold what you need for any type of trip. And the Hydro Flask Tumbler also has a straw lid option, which fits both tumbler sizes for added convenience. Coffee mugs are mostly aimed at those who like to drink hot liquids, like coffee, hence the name. But many people use these handy travel mugs for their icy drinks as well. So, when you’re looking for the best coffee mug out there, you need to ensure its insulation capabilities are up to par, or you’ll be sipping cold coffee or warm drinks before you know it. Another thing to consider is the lid. You’ll need a good one that stays in place, or you’ll be sloshing hot drinks in your lap while you drive, which is extra dangerous. They should have decent openings to let you sip at your leisure, without slopping the liquids around your mouth and over your nice clean shirt. Another thing to consider is the insulation. Not only do you want to keep your drinks hot, you don’t want to burn your hand at the same time. The bottom line is that the cup should stay cool on the outside while the drinks inside are nice and toasty. With that said, let’s take a look at YETI vs Hydro Flask vs Swell coffee mugs! 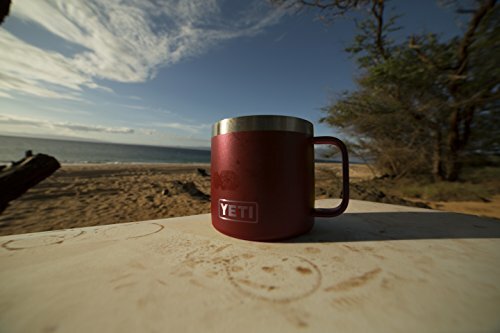 The YETI Lowball only comes in one size, but it may be all you need for sitting around the campfire or lounging on your deck and enjoying the morning air. It is made of durable kitchen-grade 18/8 stainless steel, so it won’t smash at the slightest bump. This material also resists rust and punctures, so it will last through even the roughest trip. The insulation is double-wall vacuum insulation, which keeps your coffee piping hot and your evening whiskey nice and cold. There is also a No-Sweat design that has two functions. It keeps the hot drinks from heating up the outside of the mug to prevent burns. And it won’t sweat on the outside when you’ve filled it with something cold, so there are no worries about using a coaster. The size of the cup is perfect to fit in almost any hand. And with the great stainless steel or DuraCoat colors, you’ll have no trouble finding the right color for you. 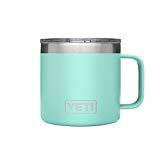 Best of all, the YETI Lowball coffee mugs are dishwasher safe for easy cleaning. Dimensions (in) 4 1/8" x 3 1/2" 3 3/4" x 5"
There is only one size available for the YETI Lowball. This is the 10-ounce coffee mug, which may be too small for those who intend to take their coffee on the road. But if you’ll be near the coffee pot all morning, you shouldn’t ever have to worry about running out of the good stuff. 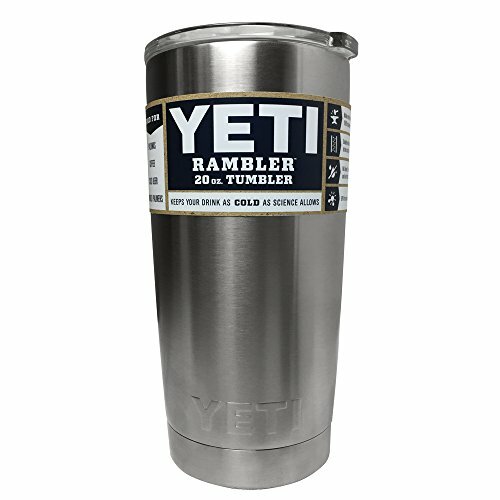 In additional to the YETI Lowball, YETI has released a Rambler coffee mug with handle. This is a great option for someone looking for a classic feel and look, but wants the extra versatility of having a lid. The Lowball comes with a handy standard lid, which is shatter-resistant to reduce any fears of dropping it on any hard surfaces. This lid locks in the heat or cold, so your drink stays at the perfect temperature until the last drop is drunk. But you can also swap out the standard lid with YETI’s Magslider Lid, which has a magnetic sliding mechanism for easy opening and closing. The magnet can also be removed during cleaning, so no leftover drink residue will get stuck and contaminate your other beverages. But keep in mind, this one isn’t leak-proof, so be extra careful when using it. Both styles of lids are dishwasher safe, so you don’t need to fuss with them to clean them out. Just toss them in the dishwasher with the mug for quick and easy cleaning. There are so many features that make this one a top contender for the best coffee mug in our YETI vs Hydro Flask vs S’well comparisons. First, it is made of pro-grade 18/8 stainless steel. This material is durable enough to handle some rough treatment, plus it won’t transfer the taste of the metal to your drinks, so they taste the way they’re meant to. The Hydro Flask travel coffee mugs use TempShield insulation, which has a double wall vacuum construction to hold the temperature for longer. In fact, Hydro Flask boasts that all three sizes keep your drinks icy cold for up to 24 hours, and maintains the heat of a hot drink for up to 6 hours. 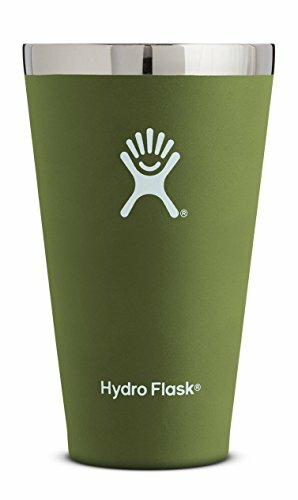 These coffee mugs from Hydro Flask are also BPA and Phthalate-free, so they are safer to use than some of the other brands on the market. And they come with a lifetime warranty, which proves Hydro Flask believes in their product. Another great benefit of these coffee mugs is the wide range of colors they come in. There are 11 options to choose from, from the more subtle darker colors to bright yellows, reds, and blues. Dimensions (in) 4.5" x 3.5" 6.3" x 2.3" 7.5" x 2.3" 9.1" x 2.3"
The Hydro Flask coffee mugs come in three convenient sizes, including the 12-ounce, the 16-ounce, and the 20-ounce. The 12-ounce and 16-ounce sizes are equivalent to small and large coffee sizes at most coffee shops, so you can fill them up right at the shop. As well as being convenient, this also helps reduce waste since you no longer have to fuss with paper cups. 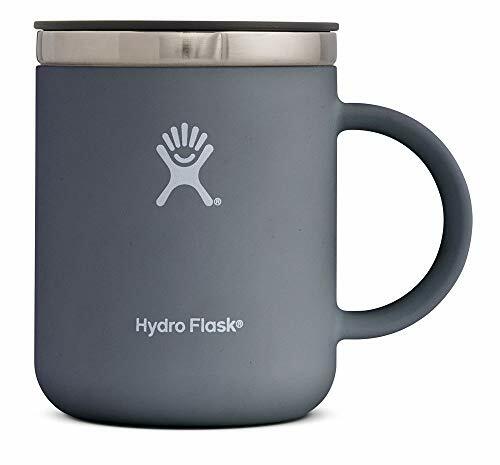 If you are looking for a coffee mug with handle like the YETI one, check out the new 12-ounce Hydro Flask coffee mug model with handle. All three of the Hydro Flask mugs come with the Hydro Flip Lid, which has a flip-top opening for easy sipping and is BPA-free for a safer lid. It isn’t leakproof, though, so you do need to be careful with it. But these cups are also compatible with two of Hydro Flask’s other lids, the Wide Mouth Flex Cap and the Wide Mouth Straw Lid, so you can pick your favorite or try out all three. The S’well Traveler coffee mugs come in 13 great colors and patterns. Some are solid, like their Jasper Green or Midnight Blue models, and others have meadow and mountain scenes to reflect your favorite areas. There are also a few marble options to show off a bit of class. The bottles are made of high-grade 18/8 stainless steel, are BPA-free, and use triple-walled insulation to keep your drinks at the optimal temperature without burning your hand on the outside or leaving puddles of condensation wherever you set it down. These S’well bottles are also contoured, with wider bottoms for stability and thinner tops to fit your hand perfectly, no matter what size it is. But there is a wide mouth at the top to make it easy to fill, even if you’re tossing a few ice cubes in to keep your drink extra cold. Dimensions (in) 6.5" x 3" 8.1" x 3.25" 9.2" x 3.25"
When you compare the Hydro Flask vs S’well coffee mugs, you won’t see any difference in sizes. The S’well one also has three to choose from, the 12-ounce, the 16-ounce, and the 20-ounce. This makes both of these brands a bit more convenient than the YETI coffee mugs, which only have the one small size. There is no lid on this one with any type of spout or mouth for drinking. But there is a screw-on lid that seals the bottle closed to keep your drinks from spilling all over the place while you drive or walk down the street. You can even toss this handy coffee mug into your bag without having to worry about all your belongings getting soaked. When comparing these three coffee mug brands, there are some benefits to all of them, but a few flaws worth noting that sets one above all the rest. The S’well coffee mug has those great patterns that give their bottles a unique look, plus has that contoured shape for a more comfortable hold. But the lid situation isn’t the best. If you’re like me, you like a lid that opens, especially when you’re driving and don’t want to fuss with trying to unscrew the lid. 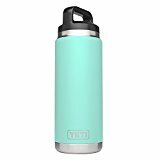 This leaves only the Hydro Flask bottle, which is made of durable material, is both BPA and Phthalate-free, comes in almost a dozen colors, and has three convenient sizes to choose from. This model also comes with a Flip Lid but fits two of Hydro Flasks other lids as well to give you a wide range of options. Growlers are made for taking draft beer on the go. They are air-tight containers that look more like jugs than cups. Typically, they are made of one of three different materials, including glass, ceramic, or stainless steel. And they keep the beer they’re holding as fresh as when it was poured. Growlers come in a variety of shapes and sizes, but no matter which one you pick, they all have the same purposes. They let you take some of your favorite draft beer home from your local tavern. You can even use them to transport your own homebrew out to parties or gatherings to share with your friends. 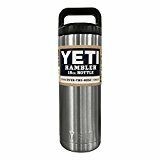 If you want a bottle that will last, the YETI Rambler growler is a great choice. It is built using kitchen-grade 18/8 stainless steel, which is durable enough for a rugged camping trip or a busy worksite. 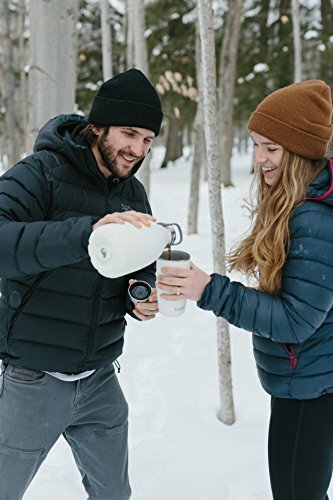 The double-wall vacuum insulation keeps your hot drinks steaming and your cold drinks icy all day long, plus holds a huge amount to keep your thirst at bay the whole time. This type of insulation also decreases condensation while keeping your hands from getting burned or chilled as you drink or pour. To make it easier to fill with your favorite draft beer at your local brewery or tavern, the YETI growler uses Over-the-Nose technology. This gives you an extra-wide opening to work with for cleaning and drinking as well as filling. And for added convenience, this huge bottle is dishwasher safe. The YETI growler only comes in one size, but at 64 ounces, it will likely be all you need to keep yourself and a friend or two filling your cups with a tasty brew all evening. Or, it can hold enough coffee or water to quench your thirst for an entire day. This growler from YETI comes with a handy triple haul cap, which has a 3-finger grip to make it easier to open and close. This lid is completely leakproof, so you don’t need to worry about it tipping over and spilling out its tasty contents. And there is a handle incorporated into the cap, so it’s easy to carry with you. There aren’t a lot of colors to pick from. In fact, the YETI growler only comes in stainless steel and black, both of which have the YETI logo on the bottom for a bit of style. 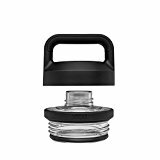 Every bit of the construction and technology incorporated into the Hydro Flask growlers are there to ensure the freshest beer or hottest coffee possible. First is the 18/8 stainless steel, which is pro-grade for the highest levels of durability, even with a bit of rough treatment. There is the TempShield double wall vacuum insulation, which retains the temperature of whatever you put into the growler. Then there is the Fresh Carry System. This technology helps to keep the beer, soft drinks, or other carbonated beverages nice and bubbly. These growlers are both BPA and phthalate-free for a safer bottle to drink from. There is a carry handle on the side, so you can take the growler with you, plus it gives you more control when pouring. The neck is also longer to give you more room for your hand when pouring it. And there are six great colors to choose from. 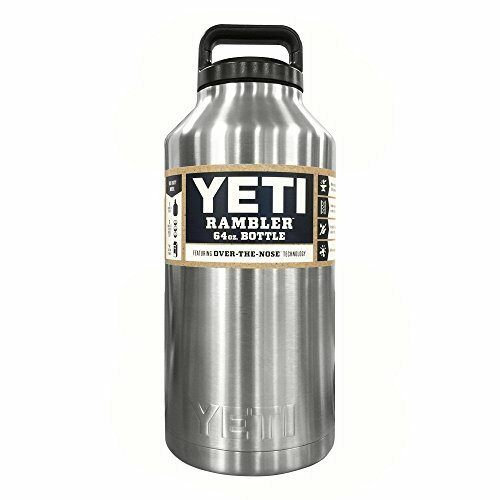 When you compare YETI vs Hydro Flask growlers, they both have huge 64-ounce bottles. But the Hydro Flask also has a smaller 32-ounce growler as well, with the same construction and features as the larger size, only in a smaller container. Part of the Fresh Carry System is the lid, which is leakproof to keep your beverages in the bottle where they belong, at least until you are ready to drink them. This also helps to keep the drinks at their freshest, so you won’t be sipping warm, flat beer or cold tea after a few hours. The S’well Roamer is brand new in the growler world, but they didn’t just jump on the growler bandwagon without doing their research. The Roamer is made using high-grade 18/8 stainless steel, which is durable and strong, without adding a nasty metal flavor to the drinks you put into it. These bottles also use triple-walled insulation, which gives you an extra thick barrier against the outside air. This way, your drinks will stay at the temperature they are when you pour them in there. Plus, it won’t cause sweating on the outside with your cold drinks or burn your hands when you fill it with hot ones. 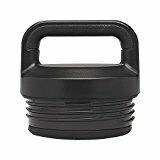 On the curved neck of the bottle is an easy carry handle, which also gives you something to hold onto when you’re pouring for a bit of extra stability. These bottles are hand wash only, though, so they can’t be thrown in the dishwasher like the YETI growler. Like the other two brands in our YETI vs Hydro Flask vs S’well reviews, the Roamer comes in the larger 64-ounce size. But S’well also has a smaller 40-ounce growler, which is 8 ounces larger than the small Hydro Flask model. This gives you a bit more beer, though the price for the S’well bottle is higher, so those extra ounces aren’t free. There aren’t really a lot of accessories for the S’well Roamer. It comes with a screw-on lid, which helps hold in the freshness and keep your drinks from spilling all over the place while you walk. There are also numerous bottle brushes you can buy separately to properly clean your bottle, but none are included with it. Each growler in our comparison has some great features. For instance, the YETI growler has that wide-mouth design. All three brands have large 64-ounce bottles, but both the S’well and the Hydro Flask brands have a second smaller size as well. The Hydro Flask growler also has Fresh Carry System, which combines the TempShield insulation with the leakproof lid to seal in the freshness. Plus, it has that slimmer neck and easy-pour handle to give you more control, so you won’t spill a drop. If you’re going to buy an insulated bottle, first you need to figure out what kind you need. This buying guide will help you choose the best bottle for your activities and lifestyle. Insulated bottles come in all sorts of shapes and sizes. There are some that are perfect for a short walk or an hour at the gym. Larger sizes are best for longer hikes or for those trips that won’t have you near any accessible beverages for a while, forcing you to carry enough with you to last all day. It also helps to figure out just what you’re drinking. Insulated mugs are great for hot drinks, while insulated water bottles are perfect for, that’s right, water. But many of these types of bottles are interchangeable with the beverages you’re putting in them, so you don’t have to buy one for each type of drink. There are a few different types of insulated bottles to choose from, each with different designs that make them best for one specific purpose, though they are still quite versatile. Insulated water bottles are made of stainless steel, with some type of vacuum insulation to keep your beverages cold. They can replace plastic or disposable water bottles, because they are reusable, safer for the environment, and contain no chemicals which can be harmful to your health. An insulated mug also uses stainless steel and vacuum insulation, but they are designed more for hot drinks like coffee and tea, though you can use them for whatever you like. Almost all insulated bottles come with some type of lid, most of which you can open to drink through, which helps to retain the temperature for longer. An insulated tumbler also uses the same types of materials and insulation, but they have lockable lids that snap in place, with a spout for drinking. These lids aren’t leakproof, though, they just prevent splashes as you move. Tumblers are great for hot or cold drinks of any type, from your favorite coffee blend to a few fingers of whiskey. Growlers are huge, capable of storing a great deal of beer or other beverages. 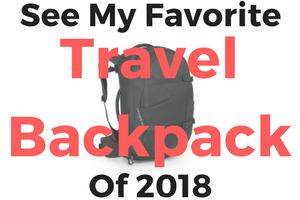 They are mostly meant for travel purposes, like bringing home a lot of draft beer from your favorite pub, or taking some of your new homebrew out to a friend’s place. Most of the insulated bottles we’ve reviewed here come in a few different sizes. This makes it easier for you to decide what size you’re going to need. If you’re only looking for an insulated water bottle to take to the gym, you won’t need a big one. But if you’re going for a longer hike, larger may be better. The same goes for coffee mugs and tumblers. Are you looking for a quick cup of coffee, or enough to last you the entire morning? Consider this, and then buy the size you think suits you best. The shape of the insulated drinkware is more important than you may realize. A straight bottle may fit into your hand, but a contoured one is a bit easier to hold onto. The diameter is also something to consider, especially if you have smaller hands. A bigger bottle won’t fit as nice, and you may need both hands to keep it from slipping. Another part of the bottle to check out is the neck. If you’ll be drinking directly from the bottle, the shape of the neck might not matter, but a slimmer neck is easier to grip when you’re pouring, especially in larger growlers. The color of the bottle isn’t the most important feature, but it is something to think about. Many bottles out there come in basic colors, like black, green, pink, or blue. But there are also some with a bit more flash to them, like silver or gold. Then there are the patterned bottles, with marbling or outdoor scenes painted right on the bottle. These have a bit more style to them, making them more of a showpiece. If you want your bottle to draw the eye as well as keep your thirst at bay, maybe one of these types is best for you. The texture of the bottle is also something to consider. A smooth bottle is more likely to slip out of your hand, especially if the bottle or your hand are damp. A textured finish helps to reduce this issue, allowing you a firmer grip on the bottle. Durability is as important in insulated bottles as it is in everything else. If your bottle cracks or breaks the first time you drop it, it won’t be of any use to you after that. Of course, even the strongest bottles may dent if treated too roughly, but they should be able to hold up under normal use without their sides busting or their lids cracking. Vacuum insulation is necessary to keep your drinks at their optimal temperature. But in order to have a vacuum, you need more than one wall, which is why single wall bottles don’t retain their temperature. In double wall vessels, there are actually two layers, one inside the other, which are joined at the neck of the bottle. In between them is a small space, which is filled with air. You can explore more here about how double wall vacuum thermos bottles work. This air is partially evacuated, which creates a near-vacuum that helps maintain the temperature of whatever’s in the bottle, while keeping outside air from altering it. Triple-wall insulation adds a third layer to add even more space between your drinks and the outside world, reducing any heat or cold transfer. 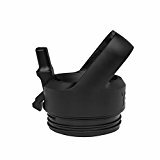 This is meant to keep your beverages cold or hot for even longer than the double-wall vacuum insulation, though it depends on the materials used. This third layer also adds extra weight, which is something to consider if you’ll be carrying it around with you all day. When it comes to lids and caps, there are almost as many to choose from as there are bottles. Some of them are simple screw-on lids, which seals the top and keeps your drink from spilling everywhere. Lockable lids serve the same purpose, though they snap in place instead of twisting on. There are flip lids, which have an opening that flips open to drink out of. There are also straw lids, which have the straw incorporated right into the lid, so you can sip out of it anytime you want with no hassle. Some bottles have interchangeable lids, so you can buy a few of them and swap them out as needed. There aren’t a lot of accessories to choose from with insulated bottles. Aside from the assortment of lids, some types of bottles have the option of a carry handle. These could be incorporated right on the bottle, or they may be sold separately. 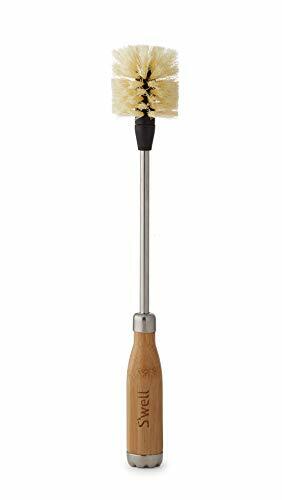 Most brands also offer a variety of cleaning brushes. If your bottle isn’t dishwasher friendly, this could be handy to ensure your bottle is cleaned safely and properly. When it comes to insulated water bottles, prices may vary depending on the bottle, the types of insulation, and the brand name. For instance, though the Hydro Flask and S’well growlers are quite similar, there is almost a $10 difference in the price, with YETI somewhere in the middle. The size of the bottle will also help determine the price. The bigger it is, the more you’ll be spending, so don’t buy a huge one if you won’t need it. But it is better to buy a quality model, otherwise you may be wasting your money on an insulated vessel that doesn’t live up to your expectations. If you’re looking for insulated bottles, tumblers, mugs, or growlers, all three of the brands we’ve reviewed here are high quality and great at keeping your drinks hot or cold for an amazing amount of time. There are many similarities between the brands, as well. They all use 18/8 stainless steel for the products we’ve reviewed, most of them have a few sizes to choose from, and they all have great insulation. But, as you’ve seen in the final verdict of each category, the Hydro Flask models beat out the YETI and S’well models in every comparison. The Hydro Flask water bottle has more size options, with both wide mouth and narrow mouth bottles to choose from to meet your needs. For the tumblers, the Hydro Flask is narrow enough to fit your hand or a cup holder better, has multiple lid options, and comes in two large sizes for less refilling. 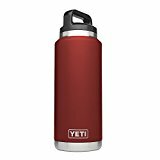 Though both YETI and S’well make great insulated coffee mugs, the Hydro Flask bottle is made of safer materials, has multiple colors, and three lid options and 4 cup sizes, including the new coffee mug with handle. Though all three brands have 64-ounce growlers, both Hydro Flask and S’well have a smaller size as well. 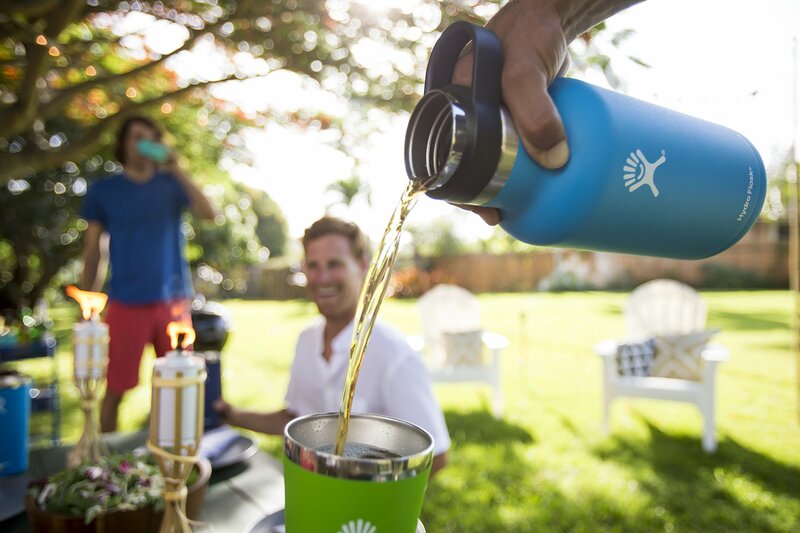 But Hydro Flask has the slimmer neck and easy-pour handle to keep the beer flowing smoothly.